First off, the pacing was incredibly uneven. Some chapters were like thirty pages long and some were like seven and I didn’t like this at all, it made the book very difficult to get into, especially when the plot was incredibly thin on the ground for most of the book (the prologue was really gripping but then it severely slowed and didn’t pick up again till the end), for the most part it focus on Alina training and learning how to use her powers and whilst that’s important, it wasn’t the most fun to read about for twenty or thirty pages at a time. Then there was Alina herself, who I just couldn’t connect to at all. I mean okay, I am in my twenties now, so that could be part of it, but even considering that, I’ve managed to find YA characters that I could connect to before. Alina for me, just seemed bland, for a lot of the first half of the book she was incredibly mopey, she got a little better when she started to grow into her powers but I still found her a little dull and I just didn’t really care about her at all. Mal as well, didn’t really seem to have any semblance of a personality, so of course, I didn’t really feel the romance between them because how can two such bland characters have any kind of chemistry? Answer: they can’t. I also hated how Alina acted to any girl who showed even the slightest bit of in Mal, like girl, you haven’t told him how you feel about him, he’s not dating you, other girls are allowed to be interested! Whilst Leigh Bardugo did go for the special snowflake here, I appreciated that despite having these awesome powers, Alina did struggle in learning to use them, it’s irritating when protagonists have awesome powers and are amazing at everything else, Alina might have had these cool powers but she wasn’t good at everything and I appreciated seeing her struggle. The Darkling was an interesting and complex character and I wish more time had been focused on him, he’s this charming and manipulative and ruthless guy but we don’t really get to see that side of him very much as Bardugo spends a lot of time trying to convince us and Alina that he’s decent. I wasn’t much of a fan of the hints of romance between The Darkling and Alina though, he’s several hundred years older than her for one and that makes me rather uncomfortable, I know it’s common in Fantasy, but that doesn’t mean I have to like it. Also must we with the love triangles? I know this was published a few years ago, but the point still stands! The world building was okay, I guess. I liked the magic system with all of the different types of Grisha powers, I thought that was cool, if not the most inventive system in the world. The world is Russian inspired, but some of the Russian influenced words didn’t make sense, especially the fact that Alina’s surname was the masculine version of the name when it should have been the feminine version. There were other mistakes in the names as well, Genya and Ilya are both male names used for female characters and one of the characters’ names is a swear word, so overall, more research needed to be done into Russian culture. I did think that the way the Grisha’s use of their powers actually made them stronger was pretty cool, as most fantasy books tend to go with using magic making the wielder weaker. 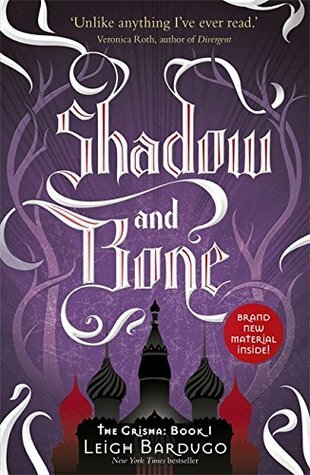 Still, whilst I think the Grisha and their society were developed well, I would have liked to know more about the world in general. I found The Shadow Fold incredibly confusing and there were a lot of places that were just kind of brought up and then dropped. I really enjoyed Genya and Alina’s friendship and I was kind of sad with what the plot twist did to them because aside from her, Alina didn’t really have any female friends. I liked Genya as well, she was kind of vain, and funny and I just enjoyed reading about her, so I hope those two find a way to patch things up in the next two books! There was a lot of focus on looks, Alina seems to be obsessed with how pretty other girls are, and whilst I can understand that from a teenage girl point of view, twenty one year old me found it kind of irritating. I also didn’t like how Alina shamed Genya for calling herself beautiful, like self acceptance is a good thing Alina? 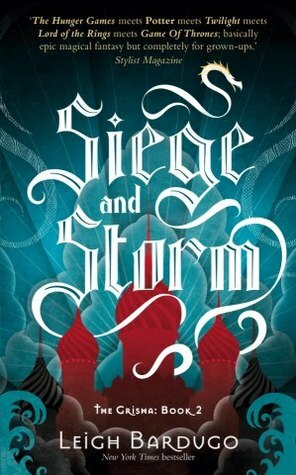 I think Leigh Bardugo’s writing skills have definitely got better over the past few years, not that this was badly written, it wasn’t at all, but I preferred the writing in Six of Crows, one of her later books, it was tighter and involved less inner monologue! The map was very cool, I always love it when books have a map! There were some interesting twists, mostly in the latter half of the book and I’ll be interested to see how those twists affect what happens in the next book. Honestly, if those twists hadn’t happened, I would have been unlikely to finish this book, so I’m glad they did, although you do kind of have to suspend disbelief with how quickly Alina accepts one of the plot twists. Part of my problem with this book is not actually the book’s fault, I had been told so much about Nikolai Lantsov by my friend, who loves him, so I kept expecting to see him and love him, without realising that he doesn’t actually appear until the next book! Overall this book was decent, but it does read as a rather cliche YA fantasy and was a little bit of a letdown after Six of Crows. 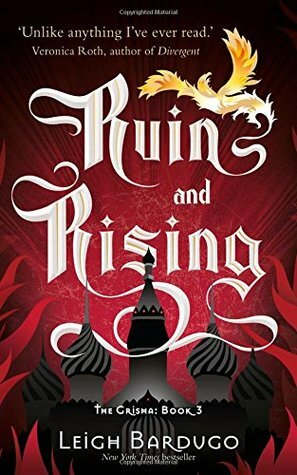 I am going to continue on with this trilogy as I want to meet Nikolai and see what happens with The Darkling, but I definitely wouldn’t count this book amongst my favourite fantasies I’ve read. Bechdel Test: PASS-Genya and Alina have various conversations that don’t relate to boys (I should explain here: I’m analysing the books I read this year to see if they pass the Bechdel Test, a test for female representation in media. In order to pass, a piece of media must have two or more named female characters who discuss something other than a man). My next review will be of Everless, by Sara Holland, my latest Netgalley read, I should have it up for you guys tomorrow as I have the day off Uni.